The design thinking process helps destinations better understand its visitors and their travel needs. It’s all about finding empathy and adding value to their journey while increasing positive word of mouth. We’ve seen how mapping out the customer journey based on one or more visitor personas is a great way to gain insight into how visitors interact with your destination. Research uncovers your visitors’ behaviours and their deepest emotions and needs and is the cornerstone of this visitor-centric approach. Many non-tourism brands take this customer-centric approach and work continuously to understand their customers’ needs. For example, when you wake up in the morning and take a shower, there’s a chance your shampoo might promise to alleviate stress. And on any given Saturday, some people are likely getting ready for their day with a deodorant that promises to cure their hangover. These examples show how brands try to connect with their customers on a deeper level: they’re not selling something to clean your hair with; they’re selling the deeper, more meaningful promises of less stress and no hangovers. 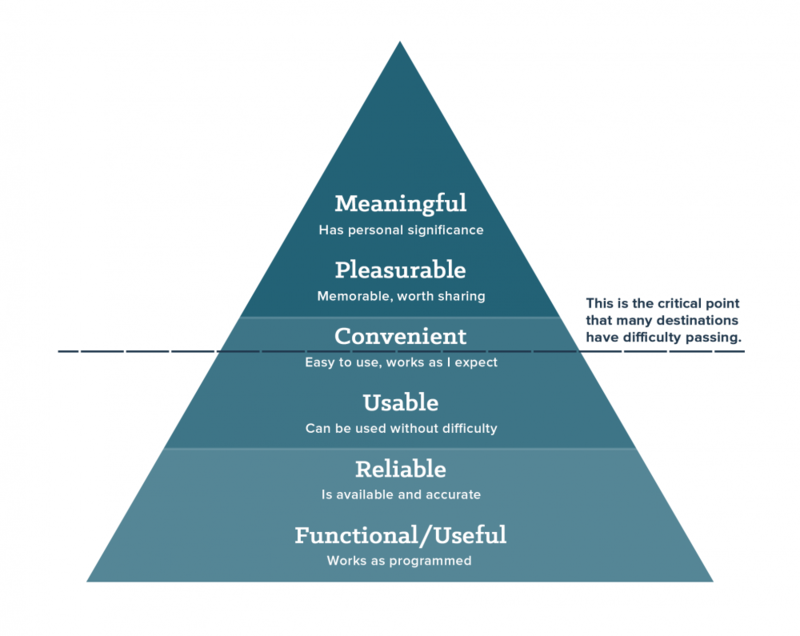 A hierarchy of visitor needs. In order to really add to the experience of your visitors, destinations need to answer to their visitor’s deepest needs. People don’t go on holiday to eat and sleep in a different environment. They go away for a million different reasons with the aim of satisfying a personal need: escape the hectic city for a week, reflect on life after a lost relationship, visiting a family member that they haven’t seen for five years, and many, many more reasons (for a tear-jerking illustration, watch this short clip). There’s only one way to find out what your visitors really need and what motivates them, and that is by gaining 100% empathy through research. Truly understanding your visitor allows a destination to create meaningful and pleasurable experiences in all stages of travel, encouraging word of mouth, making their visitors their ambassadors. (Note that this mechanism also works the other way around, as our Chief Strategist William Bakker explained in his 2011 blog post, “Meh”.) 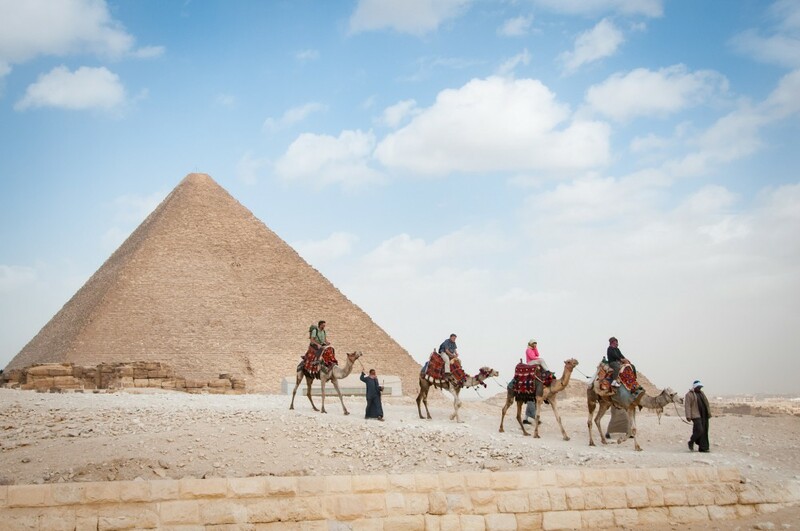 In reality, there are not many destinations who get past the “Convenient” level of the pyramid. Being a truly visitor-centric destination requires a different organizational structure and a different way of doing things than destination marketing organizations (DMOs) are usually used to. When we say “research” at Think!, we don’t mean questionnaires, focus groups or other types of more “traditional” research. If you really want to find out your visitor’s barriers and needs, you need to immerse yourself in their worlds and study them in their own environment, constantly asking “Why? Why? Why?…But, why?” This can be achieved by conducting qualitative research, such as ethnographic research, observational research (online as well as offline), as well as structured, open interviews. You’ll find that what people say they do is often different from what they actually do, is done with a different set of motives that you were assuming, or that there are perspectives on an experience that haven’t occurred to you yet. 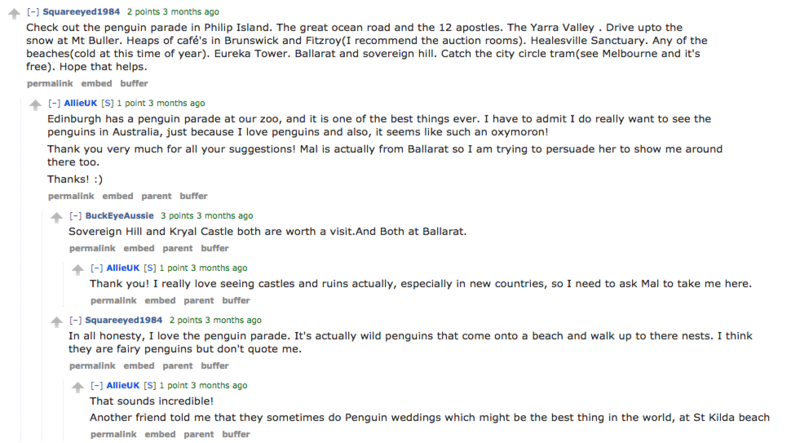 In this example from Reddit, “AllieUK” reveals more and more travel motivations through conversation. In design thinking workshops, we often find a few obstacles to conducting qualitative research. In research workshops, it’s not uncommon (and very plausible) for participants to stick with their assumptions and what they (think) they know about their visitors, which will lead you exactly where you already were. Uncovering visitor needs requires an open mind and the willingness to challenge what you think you know about your visitors. A good solution to overcome bias is to make sure that your workshop includes participants that have nothing to do with your destination’s management and marketing. Conducting ethnographic and observational research is the cornerstone of becoming a truly visitor-centric DMO. Through this research, a DMO can uncover their visitor’s deepest wants and needs and go from being simply “a place with a beach,” to having genuine, personal significance to their visitors in all stages of travel. Could your destination benefit from a deeper understanding of your visitors’ needs? Destination Think! helps DMOs with research into their visitors through design thinking to improve visitor experiences, marketing activities and organizational effectiveness. Contact us today to find out how we can help you.